This is a fairly comprehensive list of the popular items we supply for the MR2 Turbo and 3SGTE engine. 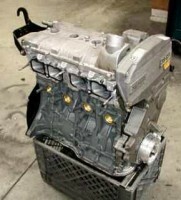 In addition to supplying parts we can do any type of engine and Turbo modification to suit your street or racing needs. We are a fully equipped engine builder, Cylinder head shop, machine shop , fabricator, and welder. Due to the complexity and labor intensive nature of the MR2 Turbo many of the options we offer are only performed in-house. Engine building is done on your core only as it is difficult and expensive to obtain good used 3SGTE engines for outright or exchange sales.